On the eve of the 30th anniversary of Translation Association of China (TAC), China.org.cn had an exclusive interview with Xu Yanan, one of the pioneers in translation and interpretation in the field of international communication and foreign affairs in TAC. Xu shared her experience and knowledge she had gained throughout her translation and interpretation career. "Foreign affairs translation and interpretation serve diplomacy," Xu said. "It's an important component of the diplomacy. Thus the work is very important." Xu has been chief of the Chinese Service of the Translation Services under the Documentation Division of United Nations Headquarters. "Translation quality has a close bearing on the effects of a country's diplomacy," Xu explained. "The accuracy of the translation impinges directly upon the development of our relations with other countries. Diplomacy is no small matter. Translating for foreign affairs is the same. We must take every detail seriously." When asked about the difficulties encountered during her translation career, the former section chief in the Department of Translation and Interpretation of the Ministry of Foreign Affairs of China said, "I have faced all kinds of troubles. Sometimes, the problem is that there is not enough time to weigh my words. Sometimes, the author of the source text was not available. There were also cases when there were no exactly equivalent words between the source language and the target language. Those aren't easily solved problems." Despite the abovementioned, Xu definitely enjoyed herself in the process of translation and interpretation. She said the work has been purposeful. The great value of translation and interpretation in the field of foreign affairs make the work well bestowed. "When the documents we translated help the foreigners understand China, when our interpretation facilitates the communication between China and other countries, we are happy." Xu listed many activities she attended including the 2000 United Nations Millennium Summit. She said that participating in such historical moments gives you a sense of achievement, which is also one of the pleasures in being a translator or interpreter. "Doing translation and interpretation works in diplomatic occasions broadens our views and expands our knowledge," Xu said. "We could closely observe the attending leaders, and learn from their way of solving problems and their way of thinking. We can learn a lot as long as we are actively involved." "In order to engage in translation and interpretation, people have to be fluent in at least one foreign language. It opens up a window for learning about the world." Xu added. In recent years, as China has been more and more involved in international affairs, the function of the translator and interpreter hasn't changed-they still serve as bridges between China and the world, albeit with higher standards. Xu explained that when she came back from abroad, she was really happy to see that the domestic translation and interpretation market has developed so vigorously. 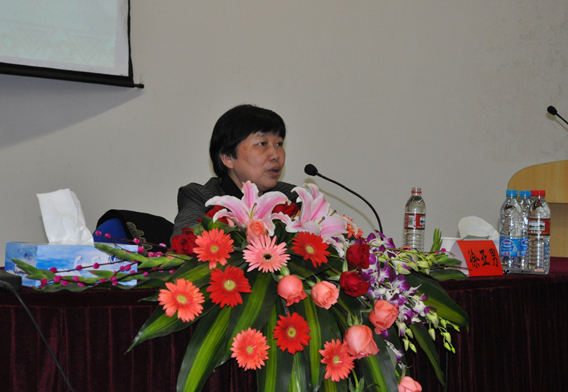 As a master who has dedicated her entire life to translation and interpretation, Xu suggested all related departments reinforce the measures and regulations of the industry and improve the overall quality of translation and interpretation.